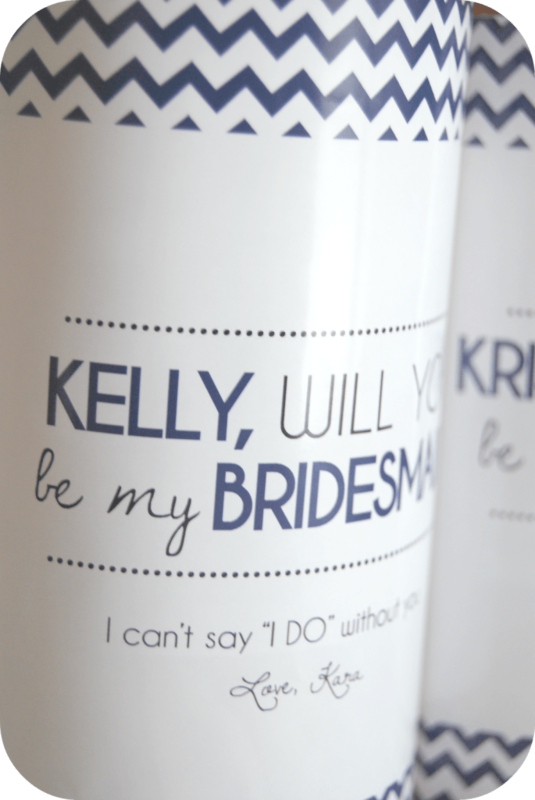 I am so excited that I have my bridesmaids! So we have Kelly, Kristen, Kristy & ME! First, Look at these Wine Labels? My sisters hare HUGE fans of wine, so I had to get these for them! Thanks to Amandra at VintageLeeCrafted! 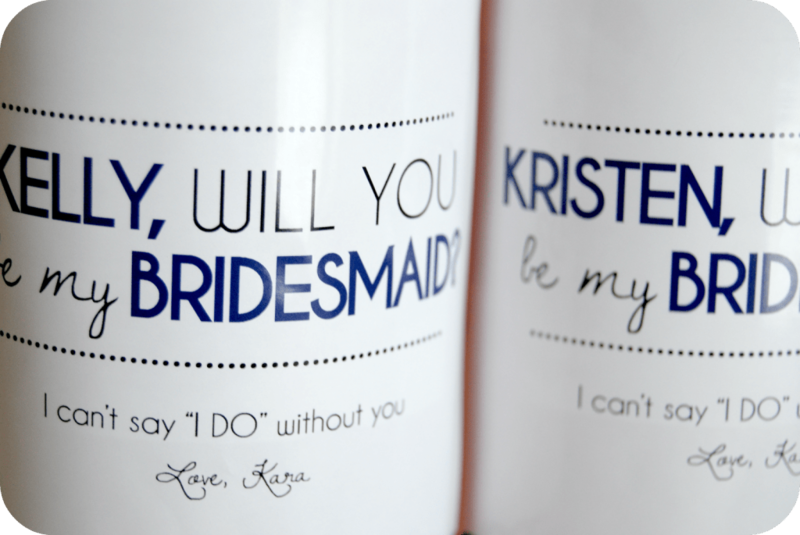 She made these perfect Wine Labels to ask them to be in my wedding! Amanda at VintageLeeCrafted has some AMAZING things in her shop! 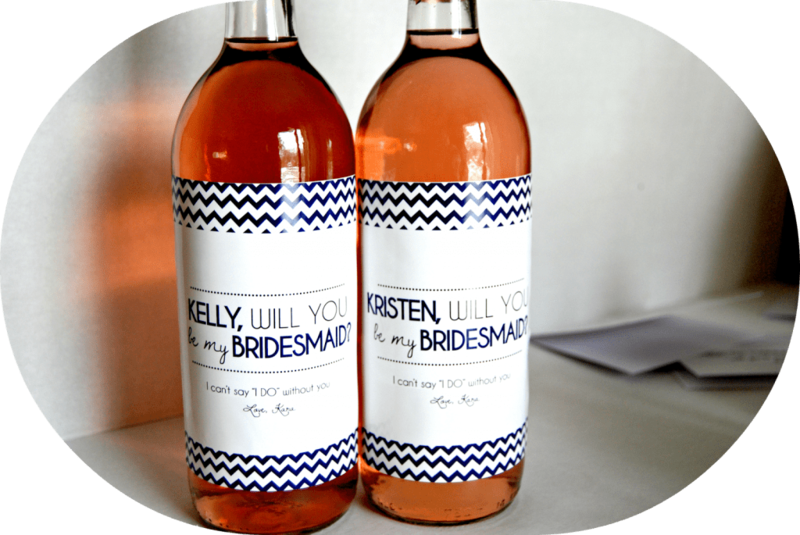 Not only does she have some amazing wine lables, she also has some super cute invitations! They were so easy to use! I took of the wine label that it came with & put the new ones on! Easy as that! I was kinda nervous that I wouldn’t be able to get them on, but it was super easy!! Come Back On Friday.. too see the rest of the gift!! & Tomorrow see how he got the guys! + a giveaway!! It’s A Good Day When…. It only goes up from here!